The cat and the pig. 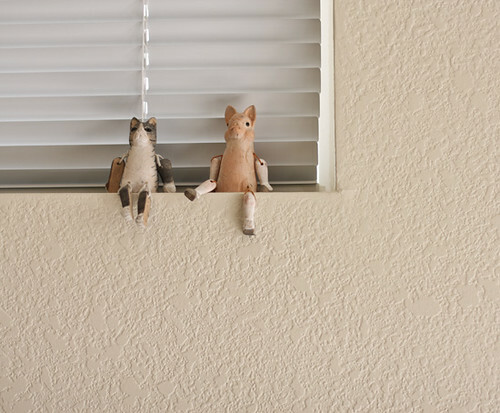 They sit on the windowsill. I've had them forever, now I wish I had bought more of them. I am nowhere near being a coding goddess like some other women I know (uglygreenchair and doorsixteen) but I got about nine out of 10 things I was determined to accomplish on this site today. Looks like the cleaning frenzy crept it's way over here too.